Whether you are renovating or building a new home, choosing the right flooring to suit your living circumstances and taste is very important. ​For pet owners, the decision is even more critical as our furry little friends are undoubtedly going to cause some mishaps and extra wear and tear (scratches, stains, dirt) over time. Now carpet and hardwood are popular flooring materials that have their respective qualities. However when it comes to choosing the best flooring option for pets, tiles are still hands down the best option for pet owners. Scratch Resistance – Although pets do look cute with custom made shoes and socks, they don’t often wear them and roam our homes bare foot. Their nails can be sharp and tend to scratch our floors or get snagged on loose fibres. It is essential to have a scratch resistant flooring option. Stain Resistance – Pets can be vigorously trained but spills and accidents can happen. We want to choose a flooring option that is resistant to hard stains that may go undiscovered for quite some time. Tile, particularly glazed porcelain are incredibly resistant to scratches and stains. This is largely due to their glazed surface which provides tiles with a 0.5% porosity and unmatched durability. Pick and choose the perfect design that suits you and your pets. Perhaps your loved pets feel more comfortable with a certain flooring type or you want a tile with lots of texture to camouflage any fallen hairs, the deisgn choice is limitless. Thanks to the technological advancements in digital print machinery available today, porcelain tiles are the most versatile floor and wall products available for our homes. Porcelain tiles can be manfucatured to fit any room size and can be designed with any colour, pattern, texture, or cutouts that you can image. Porcelain tiles can also imitate with extreme accuracy the look and feel of nature’s natural products such as marble, timber and stone. Hair, dirt and mud among other unwanted objects can be brought inside by our lovely pets. We want a floor that can be swept or vacuumed with ease. Porcelain and ceramic tiles provide a great advantage over other flooring options. Most flooring options are more porous than tiles and require sealing in order to prevent staining and discolouratiion. Glazed porcelain tiles do not require sealing and are resistant to water, staining and are also resistant to harsh chemicals and other abrasive products. ​These qualities will assist with any pet stains, odours and scuff marks that our furry friends may leave. Porcelain tiles are manufactured using natural products and can often be produced from recycled materials such as crushed glass, recycled aggregated and silica fume. They are also extremely durable and will hardly ever require replacing or maintenance with any form of harsh or non-environmentally friendly chemicals. Be confident that your flooring option will not emit or contain any harmful chemicals, VOCs, PVC or other substances that may harm our beloved pets. 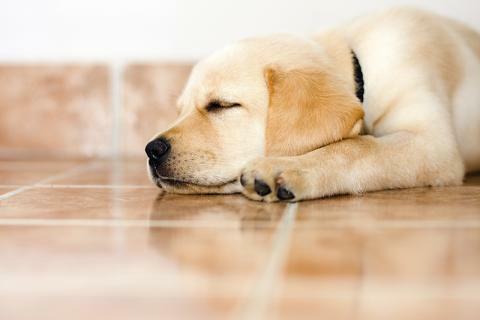 Ceramic tiles are an abundant flooring option and very popular with pet owners. Ceramic tiles are typically low cost and within most budgets, easy to clean and exceptionally versatile. ​Ceramic tiles can be installed and used in kitchens, bathrooms and outdoor areas and available in a range of colours, textures, formats and finishes to suit any design theme. Porcelain Tiles are Ceramic Tile’s 2.0 upgrade. 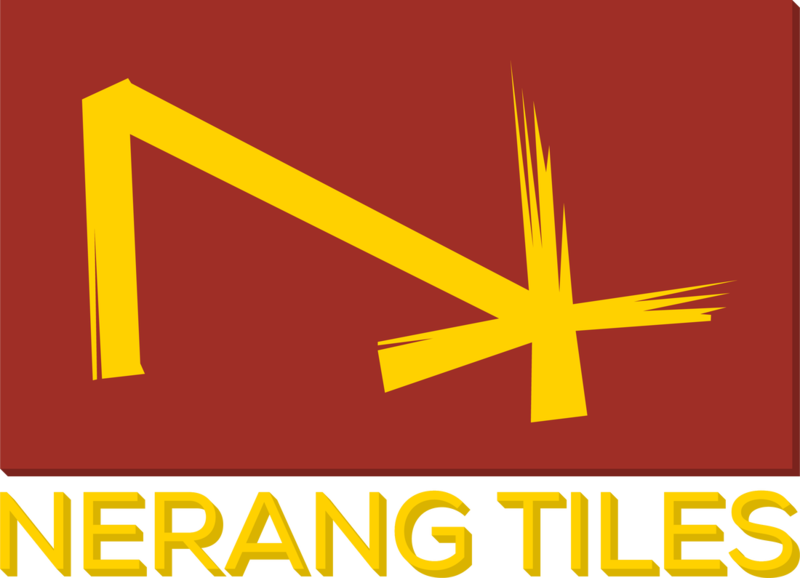 Technically speaking they are a type of ceramic tile but designed and built with new materials and manufacturing processes that make them incredibly durable and strong. Porcelain tiles are the perfect choice for owners seeking a pet friendly flooring option. ​Porcelain tiles are extremely resistant to scratches, spills and stains and very easy to maintain. One of the many benefits of Porcelain tiles is that the design and colour options thanks to today’s modern technological advancements are virtually limitless. Porcelain tiles can be installed in any area of the home and are available in an incredibly vast array of colours, variations, textures, formats and sizes. The choices are unlimited, well it feels that way anyway. 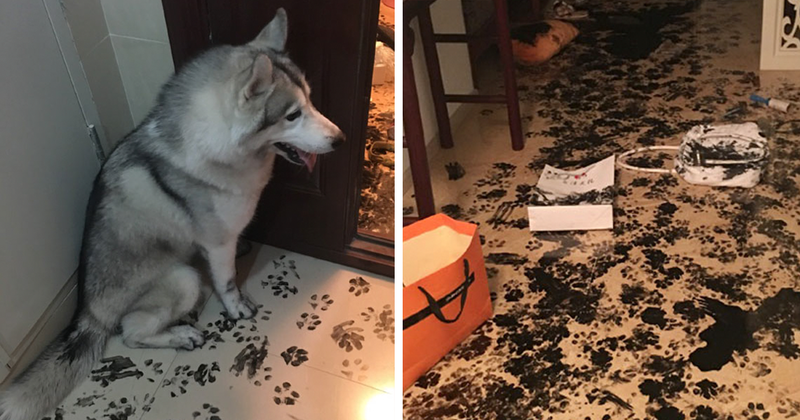 So there you go, tiles are extremely pet friendly. We love our pets and having them at home should be stress free. ​David, our interior consultant says that tiles are the best choice when it comes to owning any type of pet. In the case of unfortunate events that require cleaning, tiles can be easily mopped or swept to remove any dirt or grime were as other materials such as timber can retain dark spots or a terrible smell after being tainted due to their porous bodies. On top of all this, tiles are also scratch resistant, their smooth surface provide a pet friendly solution to our furry friend's paws.